The action taken is entered in our complaints log and a record of any relevant meeting/s and/or a copy of the letter sent is kept in the complaints file in case further action results. The information from the annual complaints audit and the anonymised summary of learning & action points from complaints will be shared via the next practice training session and there will be a multi-disciplinary discussion. If you have investigations or tests carried out during a hospital attendance it is their responsibility to inform you of the result. We are responsible for tests and investigations done at our request. We will try, where possible, to provide the result on behalf of the hospital if they are unable to but results can take longer to reach the Practice. Please do not get upset with staff if the result is not returned within the timescale suggested by the hospital, this is out of our control. 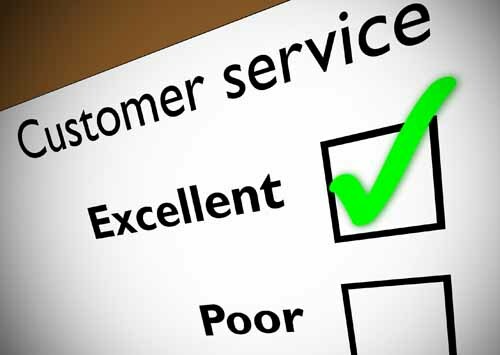  consult customers/patients about their service needs. Customers/patients should be advised how long a service will take to achieve the expected outcomes. If a delay occurs the customer will be advised and staff will take action to overcome any possible delays. When answering a telephone call staff will greet the caller and identify themselves giving their name and practice. Staff will remain polite at all times and assist the caller where possible. Practice staff aims to answer the telephone within three rings if they are available to take the call. If staff are able to answer an unattended ringing telephone they will do so and leave a message for the person concerned. When taking a message from a caller, staff will note the date and time of the call, the caller's name and contact number and the details of the message. Who the message is for is also clearly indicated. The EU’s General Data Protection Regulation (GDPR) comes into force on 25 May 2018 and will be incorporated into UK data protection laws. It most probably will continue to apply even after the UK leaves the EU, not least because organisations in this country wishing to exchange data with those remaining in the Union will have to comply with its requirements. The GDPR consolidates and strengthens current data protection safeguards as developed under the Data Protection Act 1998 (DPA). The responsible UK authority, the Information Commissioner’s Office (ICO), considers that, if organisations are already compliant with the current data protection laws, they will find it relatively easy to comply with the GDPR. Primary care providers should have a raft of policies and procedures that already meet the requirements of the DPA. A privacy notice based on this template, which follows ICO guidelines, will then help to show that the primary care service is serious about protecting the personal information it collects and processes from its patients, employees and others, and will show how it succeeds in doing this by providing an overview of its various policies and procedures. How Peel Park Surgery uses your information to provide you with healthcare. Some of this information will be held centrally and used for statistical purposes. Where we do this, we take strict measures to ensure that individual patients cannot be indentified. Sometimes your information may be requested to be used for research purposes – the surgery will always gain your consent before releasing the information for this purpose. Risk stratification data tools are increasingly being used in the NHS to help determine a person’s risk of suffering a particular condition, preventing an unplanned or (re) admission and identifying a need for preventive intervention. Information about you is collected from a number of sources including NHS Trusts and from this GP Practice. A risk score is then arrived at through an analysis of your de-identified information using software managed by our CCG and is only provided back to your GP as data controller in an identifiable form. Risk stratification enables your GP to focus on preventing ill health and not just the treatment of sickness. If necessary your GP may be able to offer you additional services. Please note that you have the right to op out of your data being used in this way. We will only ever use or pass on information about you if others involved in your care have a genuine need for it. We will not disclose your information to any third party without your permission unless there are exceptional circumstances (i.e. life or death situations), where the law requires information to be passed on and / or in accordance with the new information sharing principle following Dame Fiona Caldicott’s information sharing review (information to share to not to share) where ” The duty to share information can be as important as the duty to protect patient confidentiality”. This means that health and social care professionals should have the confidence to share information in the best intrests of their patients within the framework set out be the Caldicott principles. They should be supported by the polices of their employers, regulators and professional bodies. The Data Controller is responsible for keeping your information secure and confidential. The surgery's appointed DPO is: Rachel Nicholsan for Peel Park Surgery.